From a poor family to the World Cup: How underwater hockey had an impact on Daniel’s life. 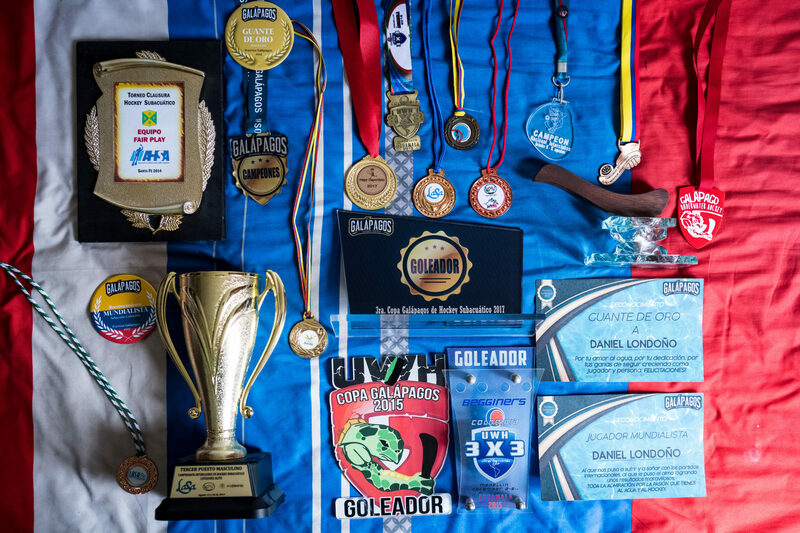 Daniel Londoño has a dream: He wants to go to the World Championship in England in August 2019. When he started playing underwater hockey, Daniel was fat and barely spoke. Today his team respects him for his experience. He wants to learn English and study in Australia. 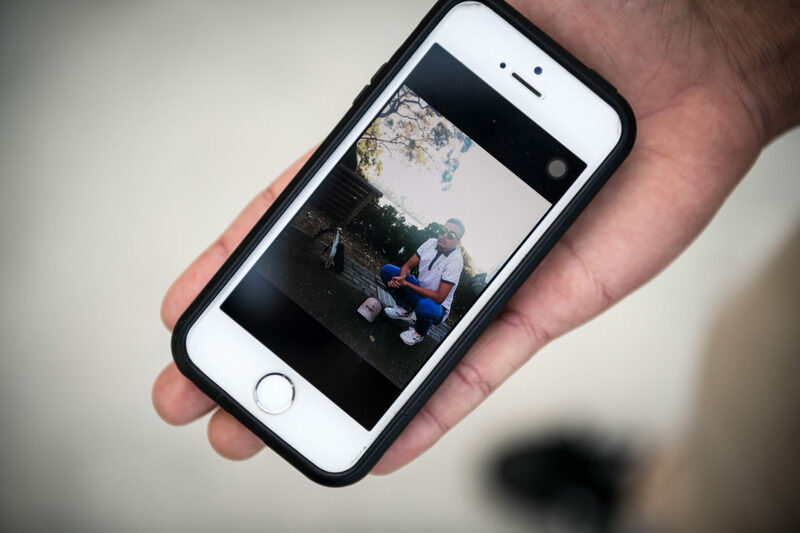 Sport has changed the 18-year-old Colombian teenager completely. 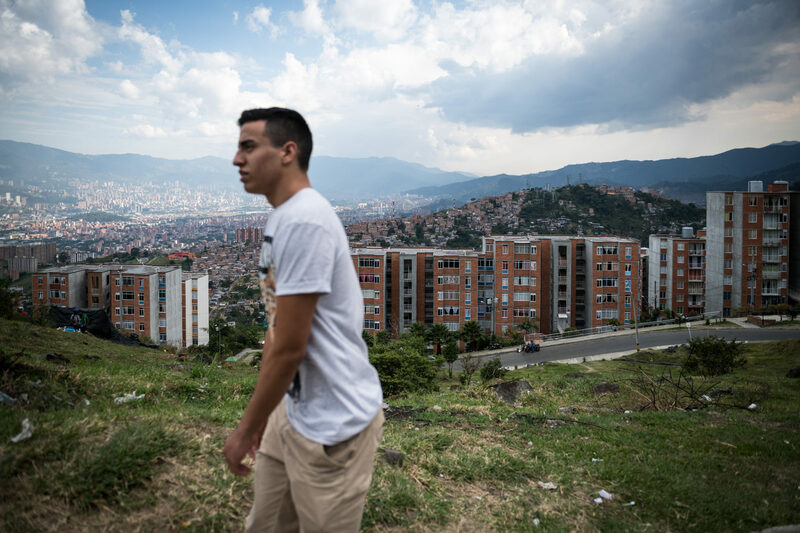 Daniel grew up in one of Medellín's poorer districts where violence used to be widespread. When his father was injured in a car accident, Daniel had to postpone his studies to earn a living. About every three years, his brother tries to kill him. He is a war veteran and has schizophrenic episodes. The other brother recently got out of jail. Despite the past, Daniel loves his brothers and parents. The whole family has come together to fulfil his dream. Daniel was the first of his family to ever travel abroad when he went to Argentina with the national team. He says, "I am not poor. If you say to yourself that you are poor, you become poor." And when he dives into the water, all his worries stay behind on land. 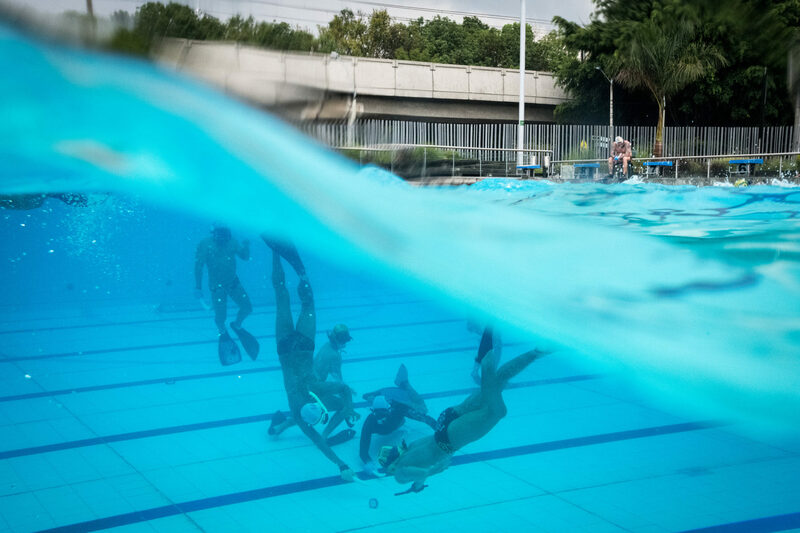 Underwater hockey is a marginal sport in Colombia, like everywhere else. But the Colombians are extremely successful internationally, and Medellín has the highest number of clubs in the South American country. The city mayor is building free sports facilities with swimming pools and paying coaches in poorer districts all over Medellín. The water sports club for which Daniel plays is the newest. It was founded by a few enthusiastic sports students who wanted to change the lives of children and young people. However, there is hardly any financial support for participation in international competitions. Travel expenses, accommodation, sportswear, and all costs for the national coaches have to be paid by the players themselves. 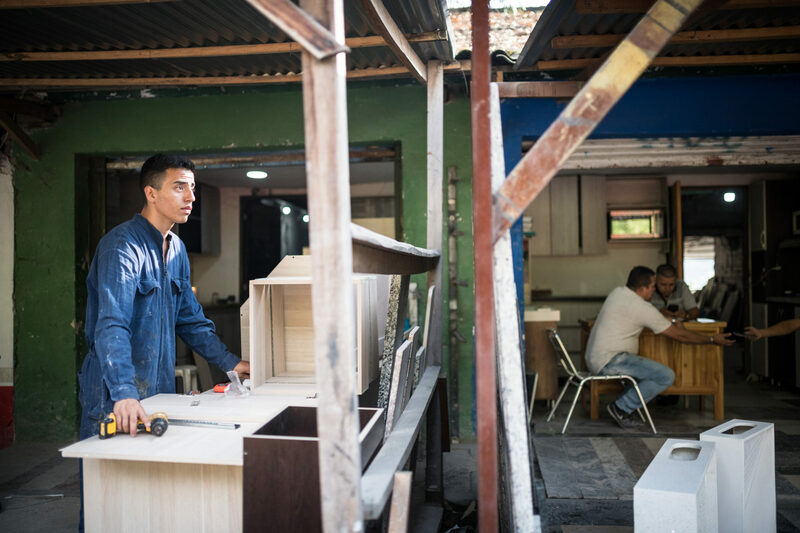 Daniel worked in a carpenter's workshop, sold sweets and tickets, and his parents took on debt to make his dream come true. That's how it was when Daniel traveled with the national team to the World Cup in Australia in 2017. If someone were to take off with the team money that he earned over months, things would be difficult. A collaboration project with Katharina Wojczenko. Daniel (Number 7) on his way to the upfield direction. Battle for the puck: A member of Daniel's team Galápagos is faster than the two boys from Aletas Copacabana. Both halves of the game last 15 minutes each. The challenge is to manage the air well. 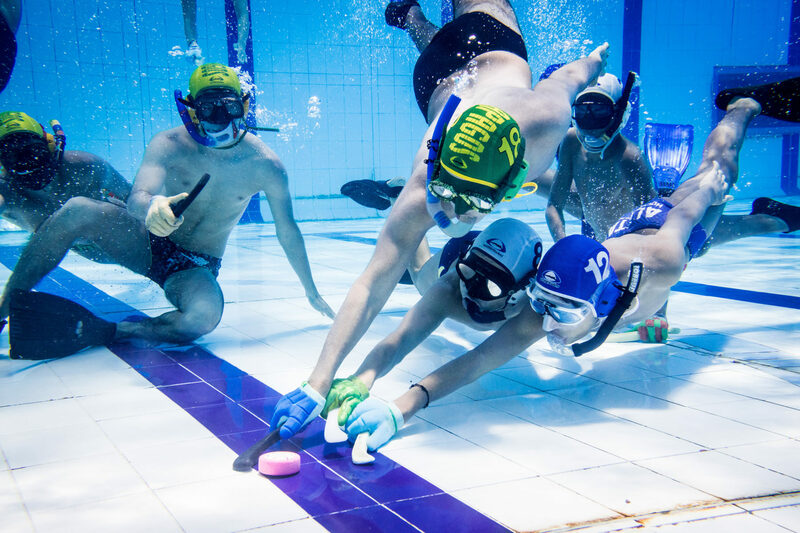 Even more than in other sports, underwater hockey demands team spirit. That is because one breath is not enough for the solo run to the goal. Large international matches are broadcast via livestream. The stadium in Medellín has a swimming pool with windows for the spectators. 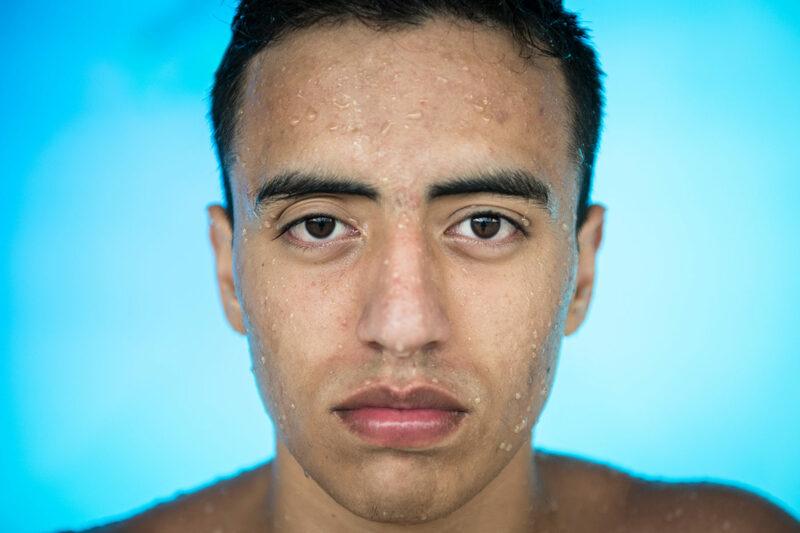 Daniel Londoño has been passionate about underwater hockey since he was 14 years old. He trains five days a week and takes part in tournaments on the weekends. He is the first in his family to leave Colombia thanks to the sport. In 2017, he flew with the national team to Australia for the World Cup. His dream is to become the world champion in England in 2019—once he gets the money for the trip together. His mother Martha embraces her son. 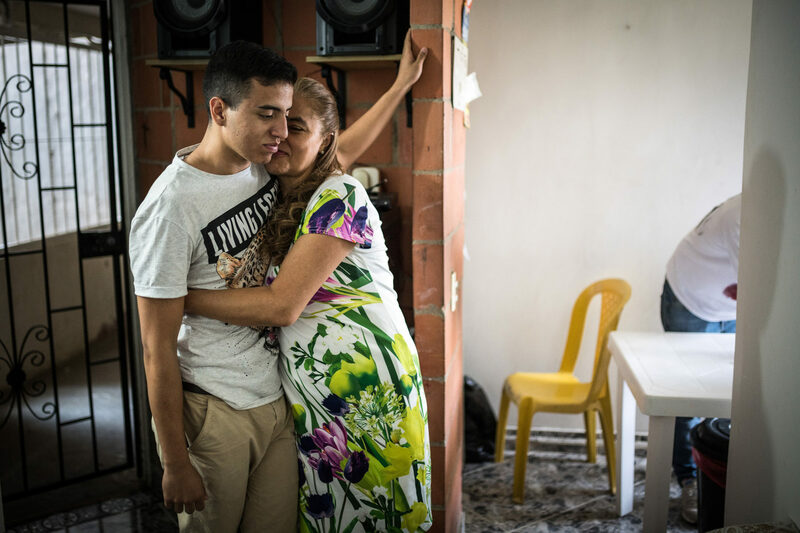 Daniel lives with his family high up on a steep slope of Medellín in a social settlement. He shares the room with his brother. The whole family is standing strong together so that Daniel's dream can come true. You can't do it without taking on jobs. Even as a national player, Daniel had to bear almost all the costs himself. Here, he works in a carpenter's workshop. He has already sold lots and donuts, danced in front of an audience, shot donation videos, and addressed city councils and pastors. His first international tournament took Daniel to Argentina in 2014. His father had wanted to become a professional cyclist, but when his wife became pregnant, he had to support the family. Now he supports his son in his passion for sport. Daniel lives in one of these skyscrapers in the Western Hills in the Comuna 7. Team meeting with coach Juan Camilo López (front) at the tournament. This weekend the competition is open for all ages. So, older players with more tournament experience play in Daniel's team. The puck has been pushed or struck in the blue stripe to score a goal. Two referees watch the game under water. Instead of whistling, they use a kind of triangle. The players swim on the surface, watch the game, and dive down as soon as they see a possibility to intervene. 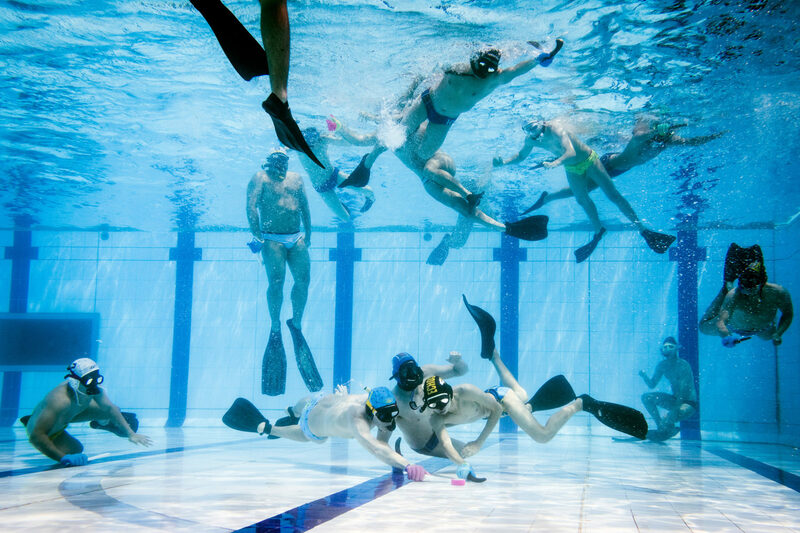 As in Germany, underwater hockey is a niche sport in Colombia. 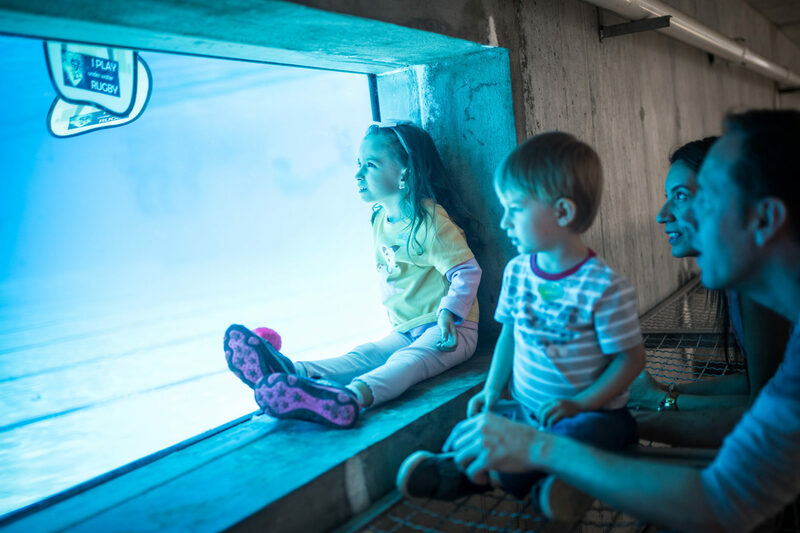 One reason for this: Only a few swimming pools are suitable for playing, because in many of them the tiles are laid too sloppily, and the puck would damage them. Jubilation: Daniel's team scored a goal. But at the end of the tournament it is only enough for fourth place. The other teams had older players with more experience. Daniel plays with his team against Aletas Copacabana from Medellin. 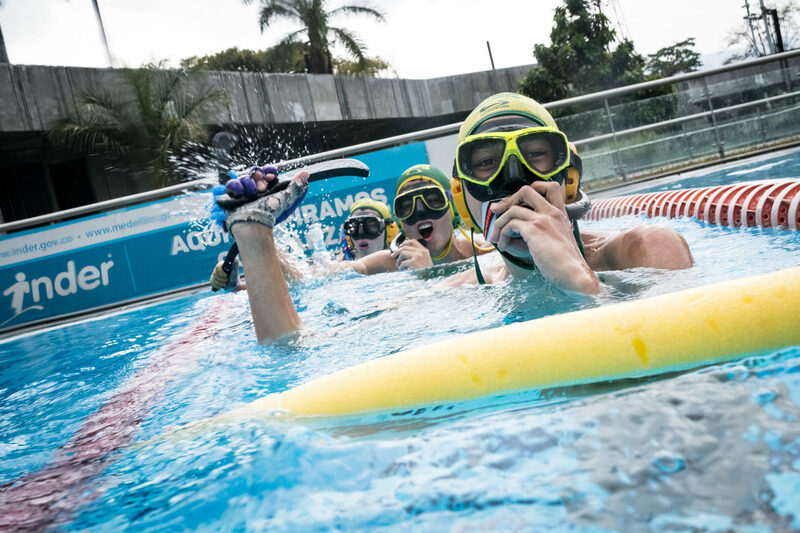 There are five underwater hockey clubs in Colombia: three in Medellin and one each in Cali and the capital Bogotá. Coach Juan Camilo López discusses the tactics for the game in the half. López has followed and supported Daniel's development over the years. A souvenir photo from Sydney. The trip to the world championship cost Daniel about EUR 7,000 (COP 24 million). He spent a whole year working on it and collecting money. He still hasn't been able to pay his debts. After the long matchday, Daniel takes the cable car home. 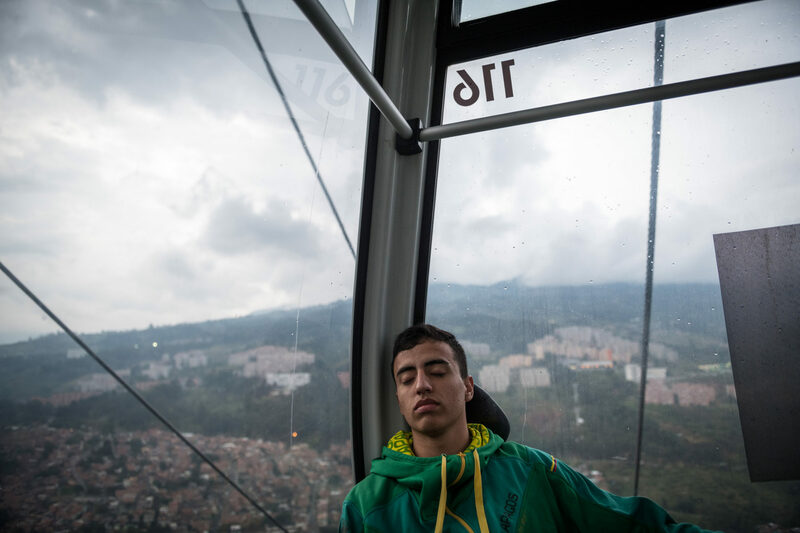 The city of Medellín has started building cable car lines with the poorest districts in order to shorten the distances to the center. Daniel needs 30 minutes to commute via the cable car and Metro and 50 minutes via direct bus.